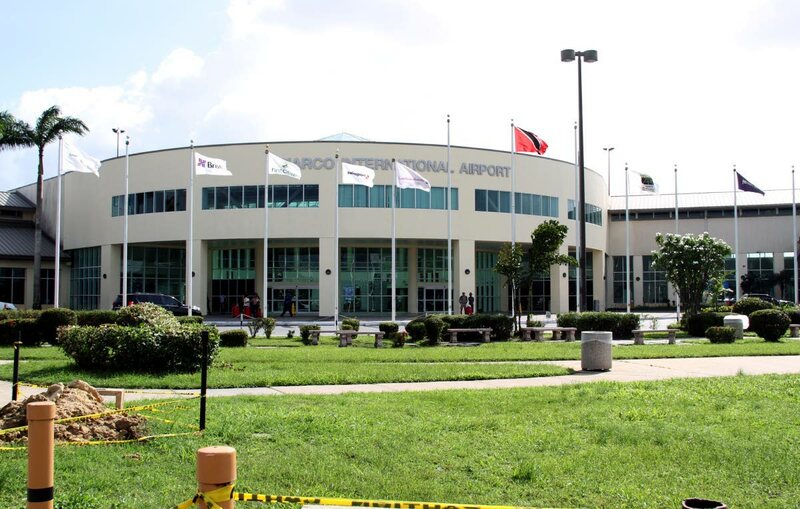 AFTER being issued letters from the Airports Authority of TT (AATT) demanding they desist from divulging security concerns about Piarco International Airport, the Estate Police Association (EPA) say they will continue to seek the public’s interest. Members of the association were given letters following last Wednesday’s media conference where they highlighted security breaches at Piarco, one of which led to a multi-million dollar robbery. On December 6, a First Citizens’ shipment of $5.5 million was stolen as it was being sent to Tobago via Caribbean Airlines. Eleven days later four people were charged with the offence and to date only $250,000 was reportedly recovered. EPA vice president Kenneth Joseph said yesterday the letter issued has no merit as section 38 of the Supplemental Police Act gave them the right to seek the interest of the workers and, by extension, the country by speaking about security concerns. At the media conference, Joseph said the security officers have, for years, asked management to beef up security around the airport. He said the robbery could have been foiled if AATT had an emergency response unit, which was only set up after the robbery. Sunday Newsday saw copies of minutes from an October 2017 meeting with the board requesting a response team be established. Days after the robbery the suggestion was adhered to. Joseph added then that there is limited CCTV coverage of the perimeter fence as well as poor lighting which caused several breaches, one as recent as this year. “Whether by action or inaction, the security around the airport remains porous. From as far as the old airport terminal to the new airport the perimeter fence has weaknesses so someone can walk on to the compound and do whatever. Some people are allowed to go onto the cargo bay area and who knows take off or put on something. And the lighting around that side (where the old airport terminal was) is poor, you know how long we begging for lights there,” a security officer told Sunday Newsday. Joseph, when contacted, said they are willing to stand by their claims that anyone can enter and retrieve or place any illegal item on a plane undetected. The association members were issued letters by the management of the airport stating what they did was in breach of the law. The letters, signed by deputy general manager in charge of security retired Colonel Albert Griffith, stated the association defamed the AATT and divulged sensitive information. This, the AATT, said amounted to misconduct and could result in disciplinary action taken against them. The letter also called on the association to immediately desist from divulging any further information to the media or face disciplinary actions. Sunday Newsday was given a letter signed by then transport minister Stephen Cadiz to the then chairman of the AATT Jason Julien in December 2014 highlighting security concerns at the Piarco airport. Some of the concerns raised were the ease at which people had access to the loading area of the airport. There was also a lack of surveillance at the car park which resulted in cars being stolen and when there were camera footage the AATT failed to surrender clear footage to assist police. This still occurs, sources told Sunday Newsday. In the letter, Cadiz asked about the surveillance at the baggage handling area and whether it was approved by the National Operations Centre (NOC). He also questioned the lighting and the perimeter fencing was also raised as a matter of concern. To date those remain issues the association raised. “There are a bunch of tenants there...and they have their own security who are not authorised by the civil aviation bodies to be where they are sometimes. I am not saying that they are criminals but they are not scrutinised as much as us. No background checks, no police records and they can go everywhere in the airport, even the cargo area. Who is to say someone can’t come there take something off a plane or put something on,” a security officer said. Former AATT chairman Gerald Hadeed said while he was in charge most, if not all, the concerns raised by the association existed and he remains baffled as to why nothing was done. Hadeed said he had planned to improve security by was thwarted by management who chose not to adhere to his recommendations and that of the association. The association said they have more security concerns to raise but wanted to do so before a joint select committee of Parliament. They are, however, doubtful that this will happen as the MP in charge of the committee, Fitzgerald Hinds, was once their line minister and those same issues were brought to his attention. Sunday Newsday called Hinds and asked about security concerns raised at the airport under his tenure, September 2015 to October 2016. He said he could not recall anything from that time. Hinds added the best person to speak with was Minister of Transport Rohan Sinanan. Sinanan said no security concerns were brought to his attention and he trusted that the board will address it. AATT general manager Hayden Newton, when contacted, said he would not comment on security issues as that would have an international reach. He said AATT issued a media release on Friday and he was standing by its contents. He added AATT will take the necessary action against the association for what it deemed to be a breach of contract. In the release, the AATT said they continue to maintain high levels of safety and security at Piarco and ANR Robinson International Airport. The release added the association’s media conference was not sanctioned by the executive. Reply to "EPA: We will voice security concerns"